Matalie Greenwood is in love... and it's with a sport that she says has "made me laugh, smile, cry, hurt, scream, bleed, and so much more." Sometimes we get letters sent to us that catch our eye and this was definitely one of them. Below you’ll read her “love letter” to the sport which we feel will resonate with many players, parents and coaches. 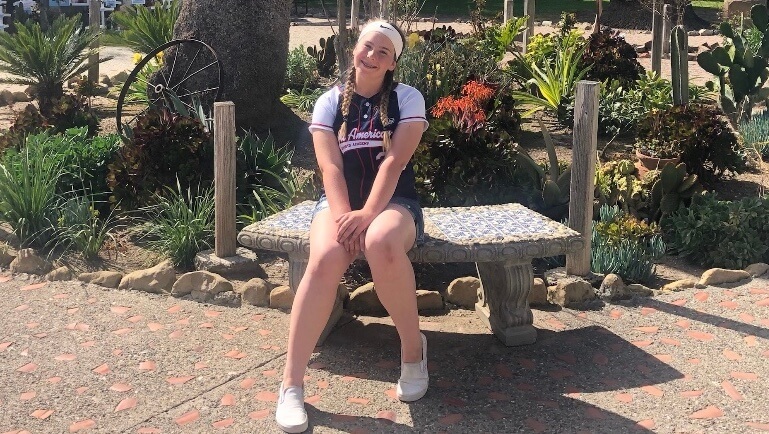 Matalie was born in Bowling Green, Kentucky and began playing softball at three-years-old and travel softball at five. 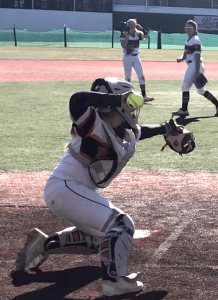 When she was six, she claimed her very first World Series title and at 10 won a PGF Nationals title with the Tennessee Mojo 2023 team. Off the field, Matalie likes showing lambs at the county fair. Shortly after that, her family moved to Los Banos, California. 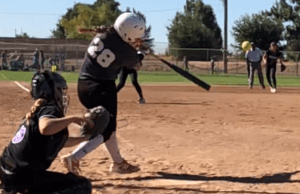 Last summer she was part of the Firecrackers Brashear/Oakes team that finished in the Top 10 at the Colorado Sparkler Jr. 12U tournament. 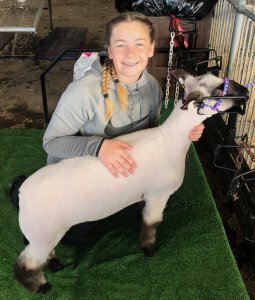 A 4.0 student, she also plays volleyball and shows lambs at the county fair when not in her catching gear. In her second year of playing 12U, Matalie injured her knee (meniscus) and had to undergo physical therapy for four months. Still, despite the injuries she’s endured, Matalie—who would like to study English or something in the medical field—is passionate about her sport. Wow, it’s kinda crazy… I’m writing this to a sport—not a person or a place or an animal—but a sport. A game that is meant to be played; a game that makes me who I am. Matalie writes: "Softball is the one thing where when I step onto the field nothing else matters." You are who and what I am. You have made me laugh, smile, cry, hurt, scream, bleed, and so much more. Since I was three-years-old, knew our bond would be forever. I stepped onto the field and knew one day I would run it… and I’ve never looked back. Though I’ve wanted to give up and stop, I can’t. Your excitement and adrenaline pull me right back in. You’ve crippled me and will probably give me surgery in the future, but at the end of the day that is fine by me because you were the thing that was here for me when nobody else was, you were the thing that was always honest, you were the thing that made me think twice before doing something, you are the thing that makes me who I am. My love for you is unconditional: forever… never ending. You have brought me friendships that will last a lifetime. You have given me the ability to be a leader, talk to anyone, think on my feet, and just become a better person. I know you will always be here… ball and bat, glove and ball, shin guards and chest protector. A knee injury in 12U led to Matalie doing physical therapy treatments for four months. Although you make me want to rip all my hair out sometimes, I’ll never give up on you. Till the day I die I will love you and be with you as you grow. You kill me, but I love you… you hurt me, but i will give you unlimited chances. You are my favorite thing to talk about, my favorite thing to think about…. my favorite thing. I can tell anything to you and then hit you away. I take my anger out on you. I cry with you. I laugh with you. You are amazing. You are the most perfect thing I could ask God for. You’re incredible and awesome and I will love you until the day I die, because you have had me since the day I was born.